Join our online forum where hundreds of Connecticut families share information and support. Support our free services with your tax-deductible contribution. 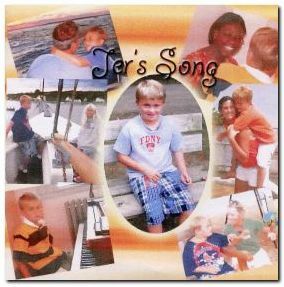 This song began with Jer's tune.Jeremiah David Shea is my nine-year-old son who has autism. Jer loves to play the piano. He doesn't play the piano in the traditional sense, rather he enjoys doing his own thing â€“ indeed creating his own tunes. When creating his own tunes he plays certain favorite cords repetitively and intensely. He is a true musician. When Jer began piano lessons we began teaching him simple kids songs with prompting. He slowly progressed doing this but was so much more motivated by his free form of expression. I then decided to ask Jer's piano teacher, Kasinda McKenzie, if she would write a song based on Jer's favorite tune so that when he is playing his tune, he would actually be playing a song â€“ his song. Kasinda then wrote this beautiful piece that centers on Jer's tune. Once I heard the piano music, words immediately came to mind and I wrote down the lyrics that naturally touch on so many things Jer loves to do. When we decided to record the song, Jer's therapist/baby-sitter, Micaela Connery, who has a special relationship with Jer, was the perfect person to sing the song. Fiona, Jer's younger sister and best friend adds so much to the refrain and makes the song that much more special. Rob Hugh, the Wolcott Elementary School instrumental music teacher willingly and expertly recorded and mixed the song for us. Listen carefully at the end â€“ you will hear Jer playing the tune that became Jer's song. All music content is copyrighted. Music may be downloaded from this site for personal use only. Duplication, posting of content on other Web pages or on the Internet in any way whatsoever, linking directly to any of these sound files is prohibited. All rights are reserved.